Just before the Nürburgring 24-hour race will be green flagged on May 12, Porsche presents a legendary couple to the crowd of 200,000 expected spectators: Timo Bernhard and Hans-Joachim Stuck will take the Porsche 919 Hybrid Evo and the Porsche 956 C respectively on a show run around the famous Nordschleife (literally ‘Northern Loop’). 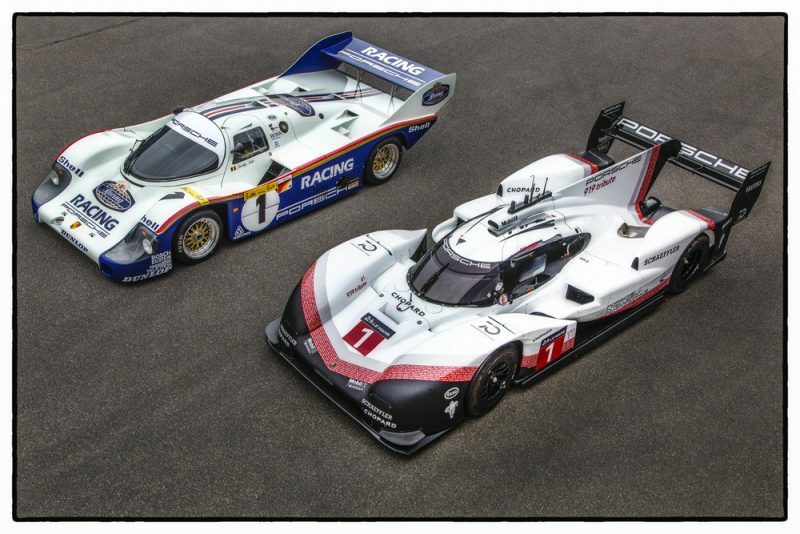 The 919 Hybrid – the Le Mans and FIA World Endurance Championship winning car of 2015, 2016 and 2017 – meets the prototype that won all titles in the World Sportscar Championship from 1982 to 1984 and still holds the outright Nordschleife track record. The lap on the Nordschleife is the 919 Evo’s first public appearance. With the car that has been liberated from the restrictions that came from the championship regulations, Porsche recently established a new track record at Spa-Francorchamps. On April 9 2018, Porsche works driver Neel Jani (CH) lapped the 7.004 kilometre long Belgian circuit in 1:41.770 minutes. He was faster than any Formula One car ever, beating the previous record by 0.783 seconds set by Lewis Hamilton (GB) at the wheel of a Mercedes F1 W07 Hybrid, securing him pole position for last year’s Grand Prix. At the Nordschleife, the second stop of the ‘919 Tribute Tour’, however, no stopwatches are required as the two racing cars will be driving behind a safety car and bypass the start-and-finish section because of the grid formation for the 24-hour race. Porsche, Timo Bernhard, Hans-Joachim Stuck as well as both the racing cars are connected closely to the Nürburgring and the Nordschleife. 37-year old Timo Bernhard from Germany is the reigning FIA World Endurance Champion. On the way to the 2017 title, he has won the Le Mans 24-Hours and took his third consecutive win of the six-hour race at the Nüburgring, repeating his achievements from 2015 and 2016 at the wheel of the Porsche 919 Hybrid. Also on his tally: Five overall victories at the Nürburgring 24-Hours with Porsche, which makes him a record winner. In 2018 he now looks after his own team, Team75 Bernhard, entering a Porsche 911 GT3 R.
On May 28 in 1983, during practice for the 1000-kilometre race, Bellof lapped the Nordschleife in a storming 6:11.13 minutes. Due to construction work, the exact track length was 20.835 kilometres at the time, which resulted in an average speed of more than 200 km/h. The 2,649 cc six-cylinder, twin turbocharged, flat engine in the 956 C produced 620 hp. Bellof’s car was chassis number 007. He was leading the race when he retired in a massive accident in the area called ‘Pflanzgarten’ but walked away unharmed. One year later, in 1984, he won the 1000-kilometre race at the Nürburgring, sharing a Rothmans Porsche 956 C with British driver Derek Bell.